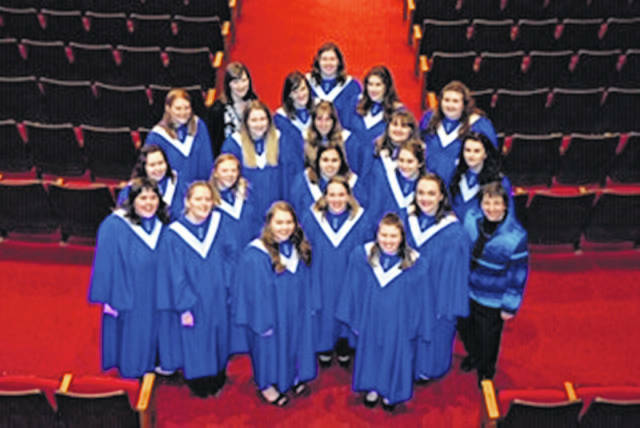 Mount Vernon Nazarene University’s Treble Singers Women’s Choir will perform at Green Hills Community on March 30. WEST LIBERTY – The Treble Singers Women’s Choir of Mount Vernon Nazarene University will present a free concert open to the public at Green Hills Community at 2:30 p.m. Saturday, March 30, in Foundation Hall. Treble Singers, directed by Sabina Anderson, is one of three choral ensembles at MVNU. This select women’s choir offers a blend of three- and four-part harmony for praise, worship and testimony through gospel arrangements, sacred classics, spirituals, hymns and contemporary Christian songs. The students represent several states, a variety of academic majors and a number of denominational backgrounds. On campus, the choir performs in special chapel services, the annual Christmas service, the annual presentation of Handel’s Messiah, as well as presenting their own concerts as part of the MVNU Music Department’s recital schedule. They also tour throughout Ohio, West Virginia and eastern Kentucky. Green Hills Community is located at 6557 S. U.S. Route 68, north of West Liberty.